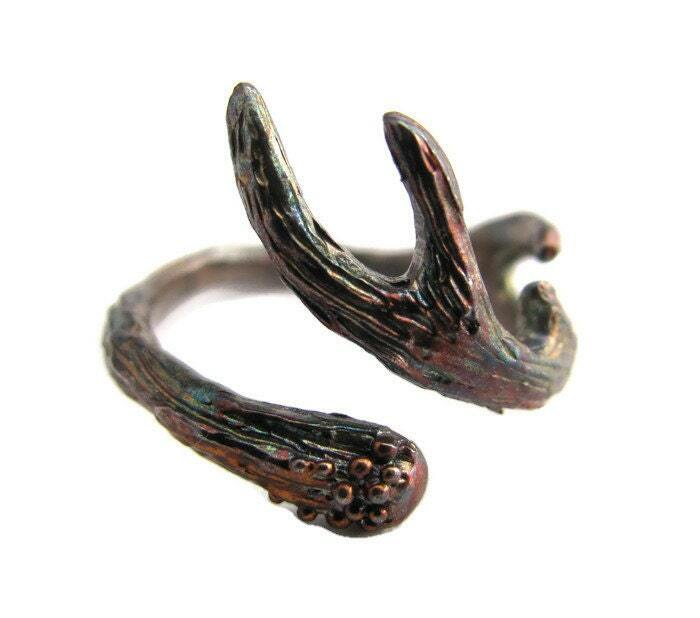 This antler ring is cast in solid sterling silver, oxidized by hand to darken patina. 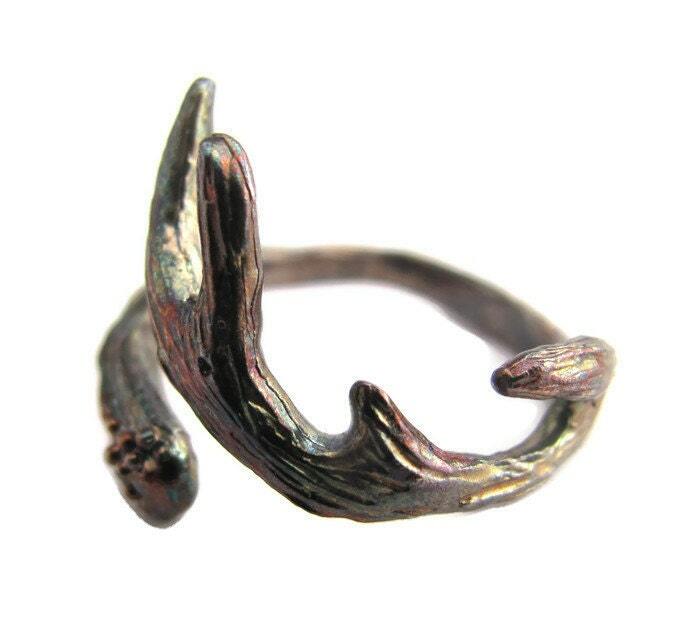 This ring is so comfortable and easy to wear. It's a perfect piece for everyday. 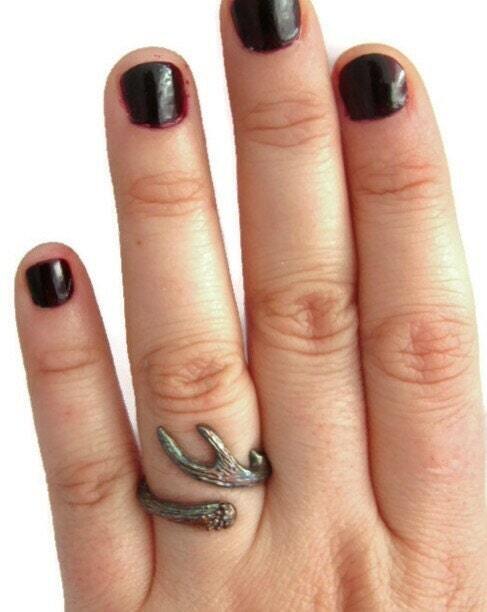 Upon ordering, this ring will be made to order to your ring size. 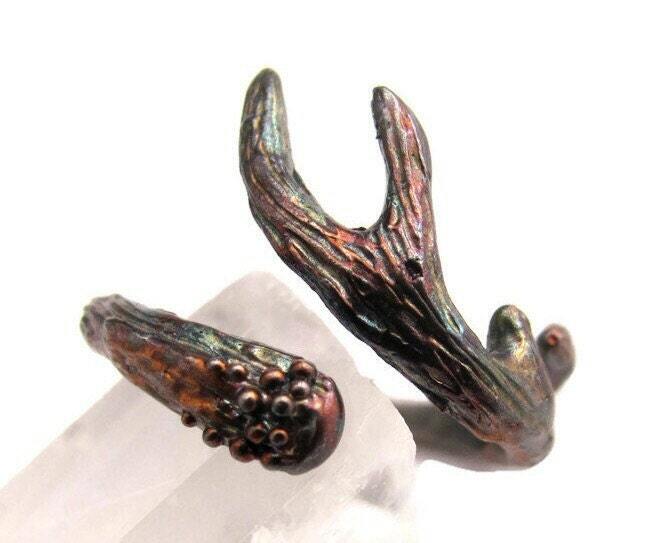 Please be sure you provide us with the CORRECT ring size, as all of our items are final sale. If you do not see your ring size in the drop down options, please convo us. 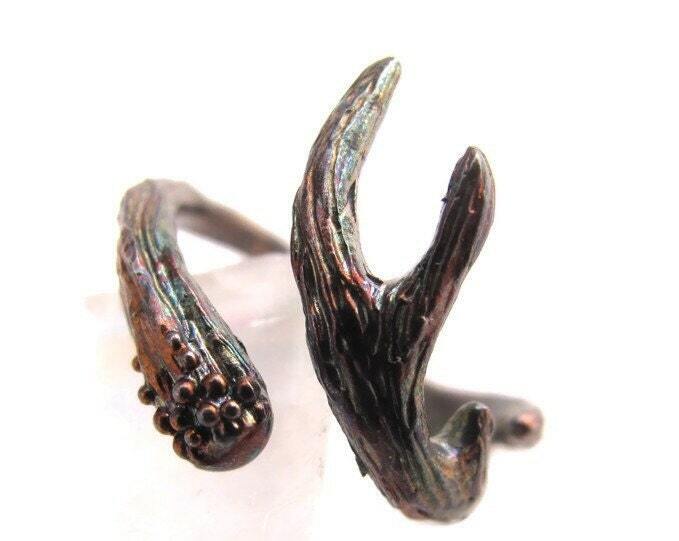 We have some antler rings in select sizes ready to ship. This ring can be cast in any color or karat gold upon request as well, gemstones may be added too. Please convo us for a custom order. *** PLEASE ALLOW 4-6 weeks for your item to be made before it ships. We will notify you once it does. Like all of our exclusive designs, this piece was originally designed and hand carved by Kate Pride and cast in solid sterling silver here in Boston, using the lost wax casting technique. Our pieces are hand cast in small quantities to ensure highest quality. Due to the nature of our work, all sales are final.